» World Cup 2014: 365 million CFA francs for the Elephants in case of qualification! 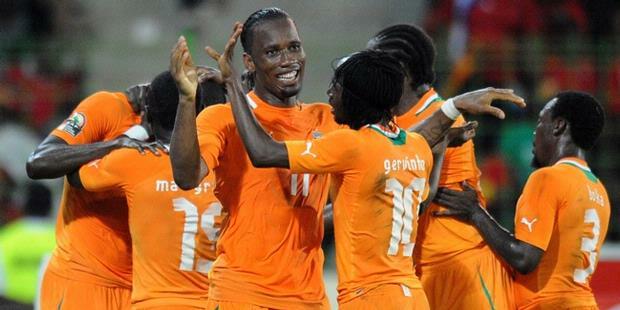 Africa World Cup 2014: 365 million CFA francs for the Elephants in case of qualification! This was decided on Wednesday by the Cabinet, the Ivorian government. The players of the national football team will share 365 million CFA francs in case of qualification on November 16 – see all the program- after the second leg of the 2014 World Cup playoffs game against Senegal. It is Alain Lobognon, Sports Minister who revealed the information on his Twitter account, as we reported to you from Wednesday on our Facebook page. “365 million as goal premiums to the Elephants in case of qualification against Senegal”. Didier Drogba and his teammates are fixed on their reward for going to Brazil.